Helping You Find The Career You’ve Always Wanted! Kevin Tucker is one of the few coaches that has the experience of a career that transitioned from the military to corporate life, following a pastoral calling and then on to successful entrepreneur with all the peaks and valleys along the way. This experience and expertise puts him in the unique position to coach mid-life managers and professionals to move from settling for just another role that leaves them unfulfilled, to finally find the right career. Kevin’s proprietary Direction to Results service offers others the courage to find the career of their dreams finally. Kevin is an amazing career coach. His program has helped me discover the true nature of my best qualities to know what to focus on for advancement. I recommend Kevin to anyone wishing to become more at peace with themselves and their professional lives. 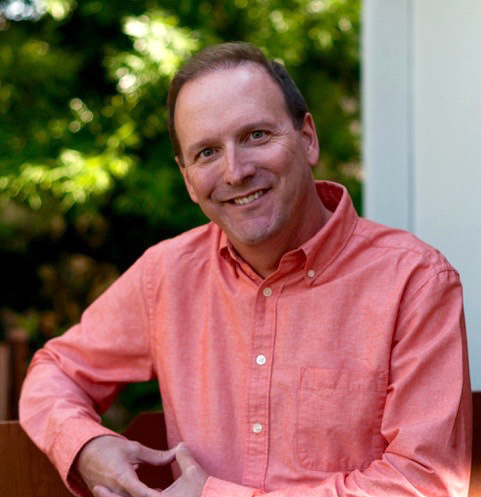 As the principal of his coaching practice for over 15 years, Kevin has worked with a variety of clients as well as a Career Management Consultant for two of the nation’s leading career outplacement firms and over seven years as one of the senior career coaches for CareerBuilder (one the largest online job portals). Prior to coaching clients, Kevin spent 10 years in senior Human Resource roles, lastly, at The Home Depot, following a 20-year career in the United States Air Force where he held various leadership positions in healthcare and systems administration. He now presents career transition and planning workshops for employees and job seekers plus serving and recently retired veterans. And is also has a featured “Ask the Experts” column in a USA Today Network focused on career transition development, work-life balance, and human resource issues in the workplace. Kevin has given me some very solid advice on how to switch careers. He was very forthcoming and is easy to speak to. He genuinely cared about my success. Kevin is associated with the International Coach Federation, holds Master Career Director and Credentialed Career Manager Certifications and HR certifications as an SHRM Certified Professional (SHRM-CP), from the Society for Human Resource Management (SHRM), along with being trained by the Coaches Training Institute. He has a MA in Human Resource Development & Management from Webster University and a BS in Management & Computer Information Systems from Park University. Active in the community, Kevin currently serves on the board for the San Diego Professional Coaches Alliance and for the ProfilingPro Assessment Advisory Board, along with being active with the Greater San Diego Business Association. Kevin also served on a local Toastmasters Board, his local International Coach Federation chapter, and as an Eagle Scout has been active with the Boy Scouts of America. Building on his past as a minister, and of course as a coach, his wedding officiant, and counseling offerings can be found at YourSanDiegoWedding.com and in his spare time he enjoys traveling and spending time with his granddaughters. Copyright© 2019 Career Transition Development.